Finance the purchase and installation of a photovoltaic (PV) system for your home. Save automatically whenever you sign or select 'credit' when using your Business Debit MasterCard.®"
Specifically applies to CPB’s online use and disclosure of information collected from visitors during the use of our website. 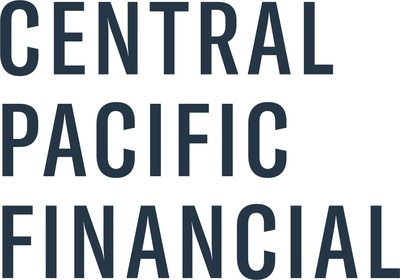 HONOLULU, Jan. 16, 2019 /PRNewswire/ -- Central Pacific Financial Corp. (NYSE: CPF), parent company of Central Pacific Bank, will release its fourth quarter 2018 earnings on January 30, 2019, before the open of the New York Stock Exchange. Management will review the results by conference call and live audio webcast beginning at 1:00 p.m. Eastern Time (8:00 a.m. Hawaii Time) on January 30, 2019. Interested parties may listen to the conference by calling 1-877-505-7644, or by listening to the webcast on the company's investor relations website at http://ir.centralpacificbank.com. A replay of the call will be available through March 2, 2019 by dialing 1-877-344-7529 (passcode: 10127971) and on the company's website. About Central Pacific Financial Corp.
Central Pacific Financial Corp. is a Hawaii-based bank holding company with $5.7 billion in assets. Central Pacific Bank, its primary subsidiary, operates 35 branches and 78 ATMs in the state of Hawaii as of September 30, 2018. For additional information, please visit the Company's website at http://www.centralpacificbank.com. SOURCE Central Pacific Financial Corp. Note: Do not use email to submit sensitive information such as your Social Security Number, account or card numbers, or to request your Online Banking password or security question resets. Copyright © 2019, Central Pacific Bank. All rights reserved.